the Jewish Federation of New Mexico has commissioned the first ever scientific study to determine the community’s demographic composition, assess current needs of Jewish residents, and plan for the future. Beginning this month, the 2014 New Mexico Jewish demographic study research team will begin a two-phased process to learn more about Jewish New Mexico’s attitudes and behaviors, and to identify subsets requiring specific communal services. The study (let's not call it a census; that sounds too much like counting) will be conducted by Kupersmit Research, a small, Denver-based strategic research firm. Marina Arbetman-Rabinowitz, PhD, will be the New Mexico project consultant. Scarlett Johansson has nothing to do with the 2014 JFNM Population Study. But there are reports that SodaStream is moving its Ma’ale Adumim factory to the Negev. Great news! That's mostly all still true! 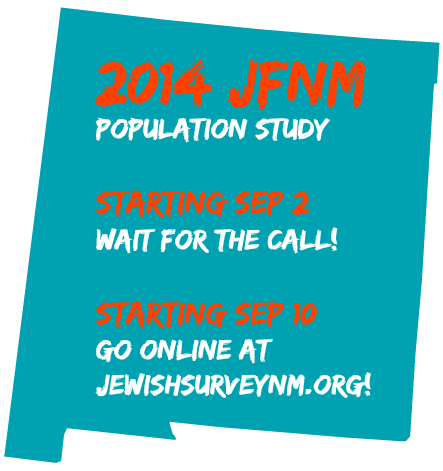 The 2014 JFNM Population Study will begin in September. Which means you didn't miss it after all! The first phase of the survey will be conducted online, through a sample of emails provided by the Jewish Federation of New Mexico through a web-based survey. In addition, mailed questionnaires and telephone calls to a sample of New Mexico residents with Jewish surnames and other sources will be conducted to maximize reach. “It is important for everyone to complete the first phase of the survey to help us assess the needs of New Mexico’s Jewish residents,” said Marina Arbetman-Rabinowitz, Ph.D., New Mexico project consultant for the survey. Once the results of the survey are received, the second phase of the study will be introduced. Phase two will consist of focus group research and interviews. It will allow for a more detailed depiction of the Jewish communities’ patterns and behaviors, and how they differ between age, gender, affiliated and unaffiliated individuals. “We expect the results of the landmark survey to be truly transform-ational and provide a picture of the affiliated and unaffiliated Jewish households in New Mexico. The data will help us better recognize the challenges and barriers New Mexico Jews have faced, as well as their motivations and aspirations,” said Arbetman-Rabinowitz. The Jews of New Mexico have had an extraordinary impact on the history of the state and the cultural, political, business and social lives of people living in the Land of Enchantment. The results of the survey will help us plan for the future of our community as it expands throughout the state. presenting a small problem for Santa Fe's Shomer Shabbos Yidden who wish to celebrate the annual cremation of Old Man Gloom. But the observant can observe by walking over to Ft Marcy, and tickets can be pre-purchased. Plus there are reports that the event will be streamed live on the Internet. 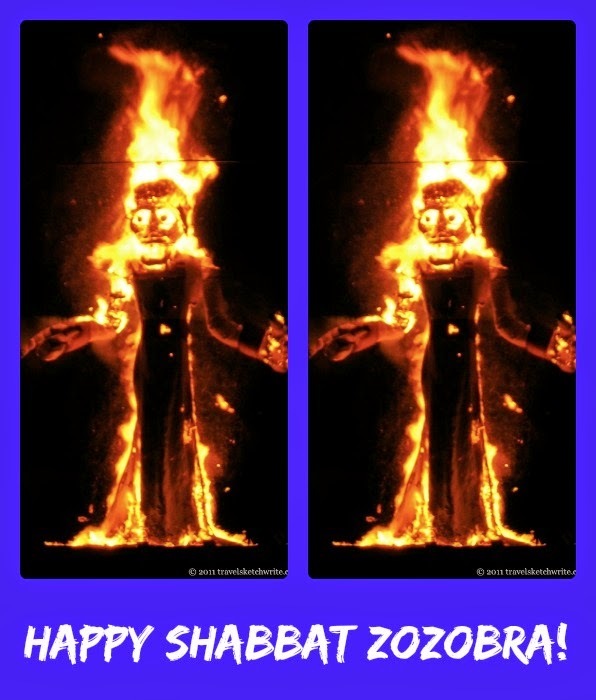 Set your Shabbos timers!